Golfers Favorite, The Hyatt House Old-Town Includes a Hot-Breakfast Buffet each Morning. Whether you're coming to play golf with friends or family, you will appreciate these spacious one- and two-bedroom suites. The new one and two-bedroom kitchen suites are designed to deliver a refined atmosphere that provides the very best in style, comfort and modern conveniences with new contemporary guest room finishes and furnishings. All Suites have been renovated, featuring granite countertops, stainless steel appliances fashionable bathrooms with glass showers, separate living spaces and bedroom, and ergonomic workstation finished with modern decor. Rooms also have the latest in wired and wireless technology, including and LCD television in the bedroom and living room, complimentary wireless internet, and a clock radio with ipod compatibility. Guests can begin their morning with a complimentary full breakfast buffet that is offered daily. The spread changes from day to day, with savory options like scrambled eggs, bacon, sausage, French toast, and waffles. At the H Bar whether you want a low-key night "in" or a prelude to the night out, guests can enjoy our new Happy Hour, including a bistro menu of small plates and sip-worthy premium beers or wines at happy hour prices, offered seven days a week from 5 to 10 p.m. You'll also enjoy complentary signature hotel amenities outdoor pool, Jacuzzi, and covered gazebo with barbeque area. 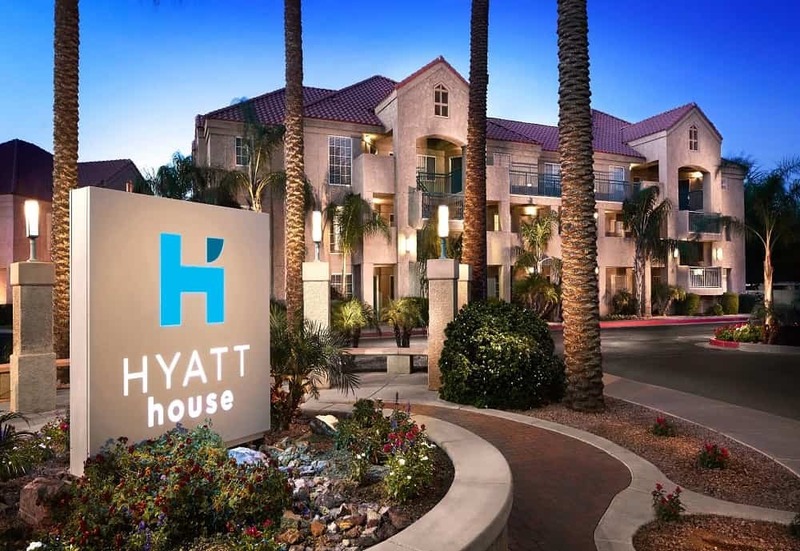 Located in the heart of Old Town Scottsdale, the hotel is convenient to many of the area's best courses and walking distance to world class dining, shopping and nightlife!